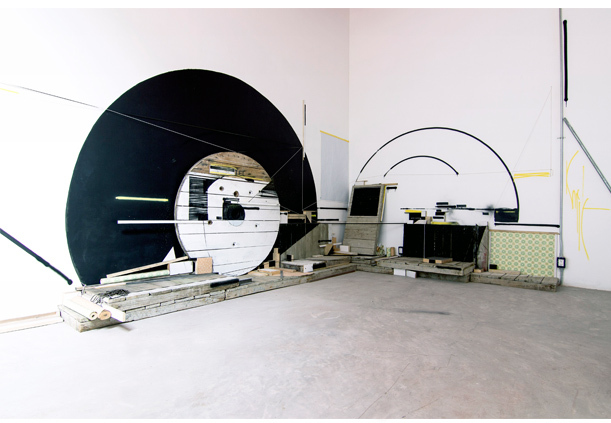 On sight Installation, Various size. plastic cassette tape & enamel paint. Celaya Brothers Gallery (CBG) is a unique space that challenges the creative limits of the participating artists. A contemporary art gallery with a proactive offer that invites international artists to develop unique concepts and defy the parameters of their time. CBG is based on the Celaya brothers’ involvement in the artists’ process and their absolute support in the creative freedom for all of their artworks. This is what shapes the spaces of the gallery. Thus, CBG is involved in the artist’s professional development, guiding him to experiment, risk and explore innovative ways of expression, always maintaining the quality and aesthetic discourse of each style. 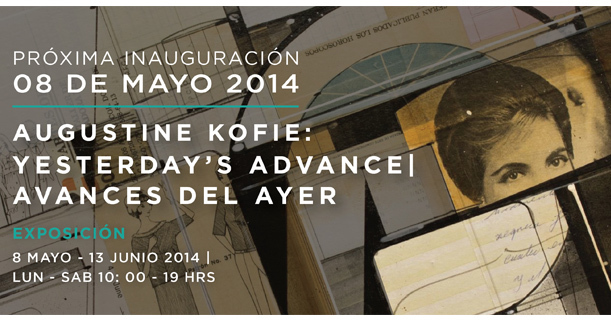 This first time around, Augustine Kofie is in charge of inaugurating the walls of the gallery with his exhibition Yesterday’s Advance | Avances del Ayer. In it, he depicts a moment, an experience, materialized into tangible artworks. Every piece is a result of his recent residency in Mexico City. His use of recycled materials, geometric composition, collages, a mixture of paper and ochre tones, emphasize the Californian artist’s experimental nature as the main creative agent in the pieces of Yesterday’s Advance | Avances del Ayer. 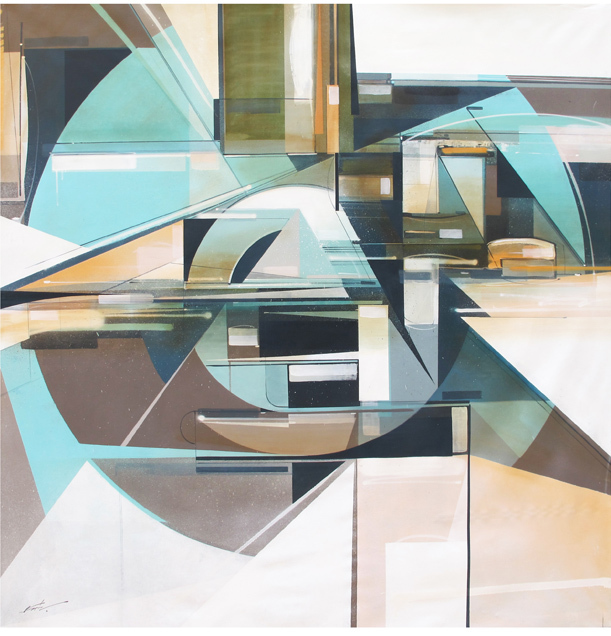 Kofie portrays his fascination for structures and architectural forms through the use of earthly tones to create a modern dynamism in the composition, a style he calls “vintage futurism.” Renowned in the urban art world for the quality and detail of his pieces, Kofie portrays his obsession with perfect angles and his immaculate linear work by reviving the washed out colors of certain façades, damaged by time and history. The peach, cream and turquoise tones of the Porfirian buildings of the Roma and Condesa neighborhoods as well as the art deco architectural ensembles are – consciously or unconsciously – the core of the pieces presented in this exhibition. Monday to Friday from 10 a.m. to 3 p.m. and 4 p.m. to 7 p.m.